A rainbow of colors bouncing off diamonds! Using 2½” strips this table runner is fun and quick to make. Refraction is a mixture of the Diamond Rectangle units and squares, making the simple look tricky. The Diamond Rects® tool allows you to make the diamonds easily and precisely. 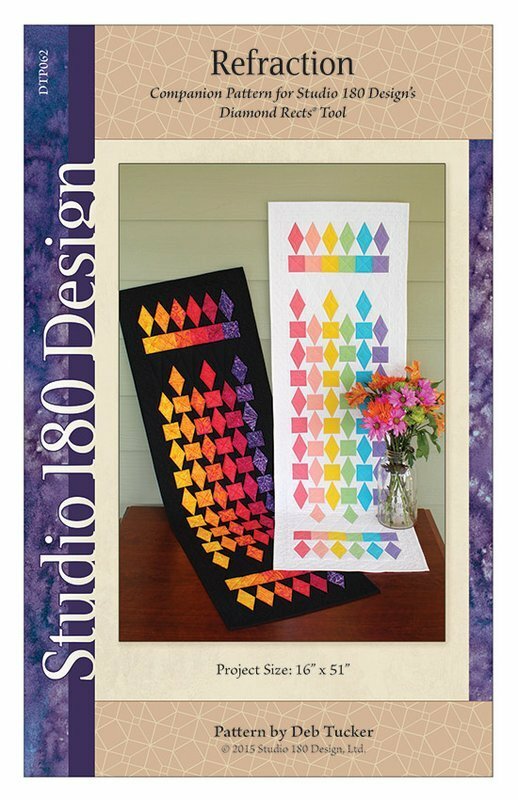 You’ll have fun making this beautiful table runner and in no time it’ll be ready to use on your table.